We thoroughly enjoy living in the Reservation. We have lived in this house for 17 years and decided it was time to update the front of the house. 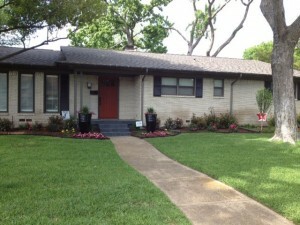 Denise Reily at Zone 8 Landscapes designed the landscape to go with the look of the porch we just updated. We kept the size of the front beds about the same so our son and his friends still have room for ball. Thank you so much for the Yard of the Month recognition.